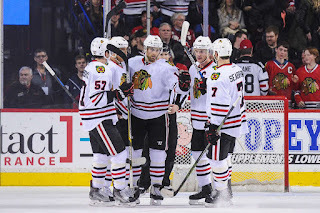 A late goal by Andrew Ladd, along with phenominal goaltending from Scott Darling, helped the Chicago Blackhawks get by the Vancouver Canucks, 3-2, and punch a ticket for entry into the 2016 NHL Stanley Cup Playoffs. 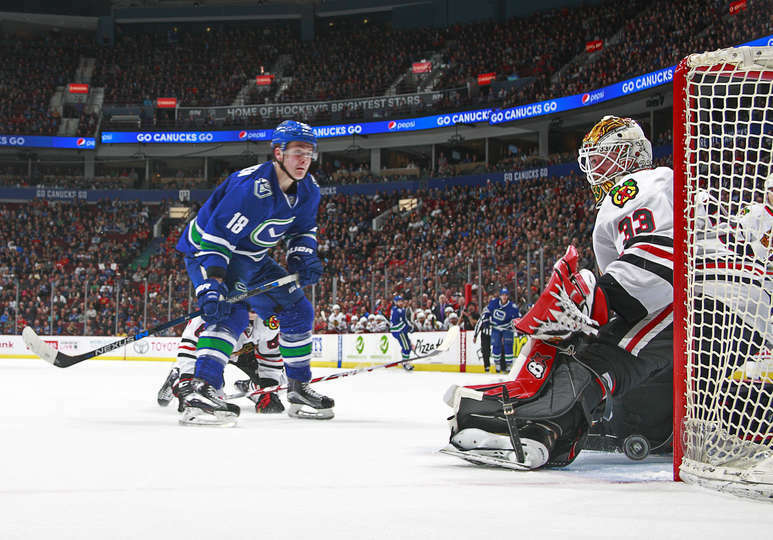 Both goalies were tested early in the period, but it wasn't until late in the period when Tomas Fleischmann got the Blackhawks on the board with a wrist shot from the top of the right slot that went stick high on Canucks goalie, Ryan Miller. With 2:18 left in the period, the Hawks took a 1-0 lead into the 1st intermission. 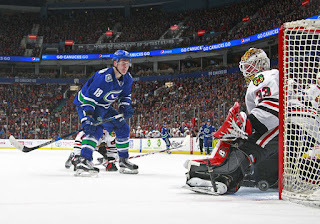 In the 2nd, the Canucks would find the back of the net as Alex Burrows took a centering pass from a board battle win by Linden Vey, to tie the game with 8:31 remaining in the period. The Hawks outshot the Canuckleheads in the period, 9-6, but the score at the end of 40 minutes was tied at 1. The first two periods, the Canucks managed 13 shots, in the third period, 15 shots. Darling shined as he stopped them all, including point blank shots from Burrows on at least two occasions, not to mention other scoring chances made available by the Hawks defense. For the 2nd night in a row, Ladd provided another huge goal as he wristed a shot similar to Fleischmann's first period shot, high, stick side, and into the net with just 2:17 left in regulation, which proved to be the game-winner. Notable Mentions: The Blackhawks have now qualified for the playoffs for the 8th consecutive year. For the 2nd consecutive night, Scott Darling was #1 Star Of The Game. Christian Ehrhoff returned to the lineup after missing 4 games played 15:11 minutes, had an assist on Fleischmann's goal, and was a +2. 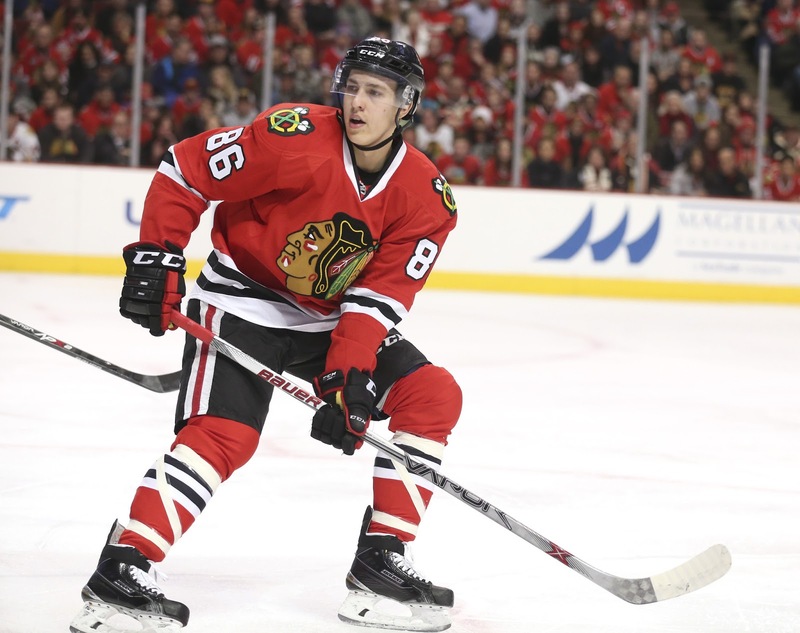 Patrick Kane gained another assist to give him 94 points on the season. The 1st period resulted in no scoring, gritty play from both teams, 9 shots a piece, and great play by both goalies. 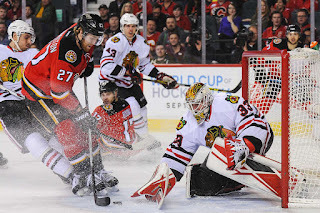 In the 2nd, a careless, cross-ice pass by TJ Brodie, was picked off by Andrew Ladd who skated in and beat Flames goalie, Joni Ortio, for a 1-0 Hawks lead. Half way through the period, the Flames took advantage of two shanked shots by brothers, Freddie Hamilton and Dougie Hamilton, to get the equalizer. Freddie shanked a shot, which went straight to Dougie, who shanked his shot, that fluttered to the the top corner of the net. With :49 left in the period, Andrew Shaw scored on a neat deflection off of a Michal Rozsival shot to head the Hawks into the locker room with a 2-1 lead. The 3rd period was all about Darling again as he continued to make save after save. With the goalie pulled for Calgary, Ladd stripped the puck and got the empty-netter, his 2nd unassisted goal of the night, to make it, 3-1. A minute later, still with the goalie pulled, Teuvo Teravainen, added an empty-net goal of his own to put the game away, 4-1.
Notable Mentions: Marcus Kruger made his return to the Hawks lineup tonight. He played 13:38 and won 50% of his draws. Andrew Shaw's goal tonight gives him goals in his last 3 games played. all 3 goals, even strength. 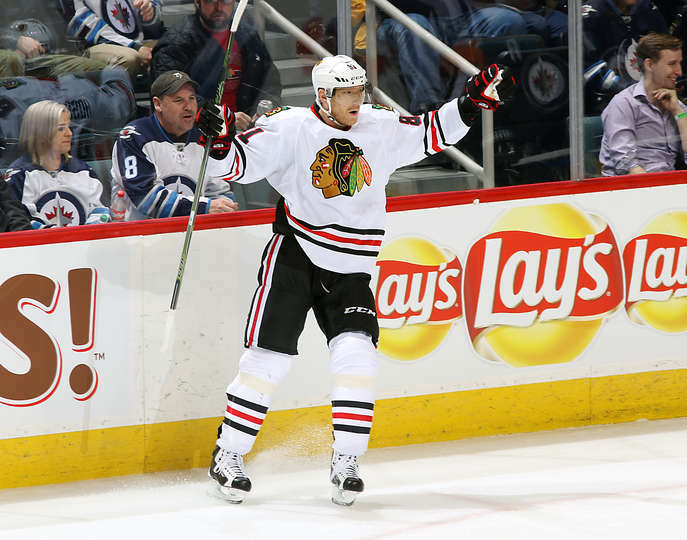 Patrick Kane assisted on Teravainen's empty net goal, giving him 93 points on the season. The Blackhawks' win tonight, keeps them 2 points ahead of the Nashville Predators, for the 3rd spot in the Central Division. 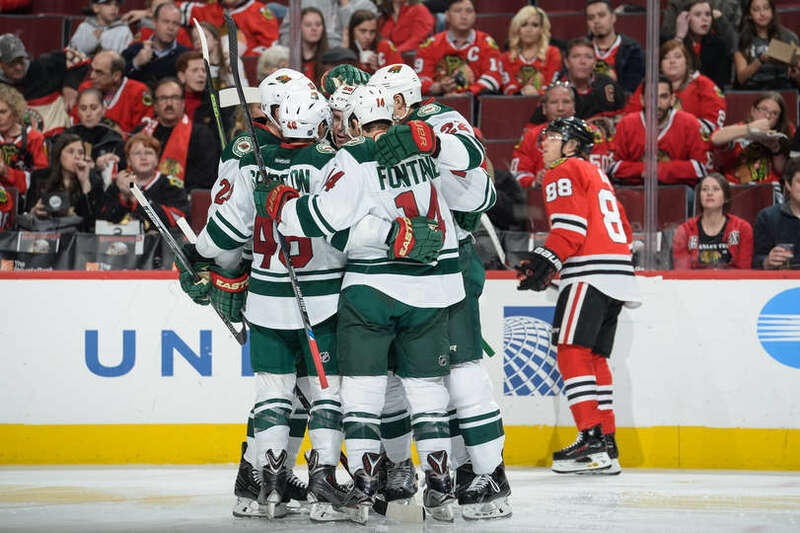 The Minnesota Wild came into the United Center and beat the Chicago Blackhawks for the 4th straight time this year, by winning in a shootout, 3-2. Both goalies showed up to play in the first period as Devan Dubnyk and Scott Darling made some tough saves for their teams. 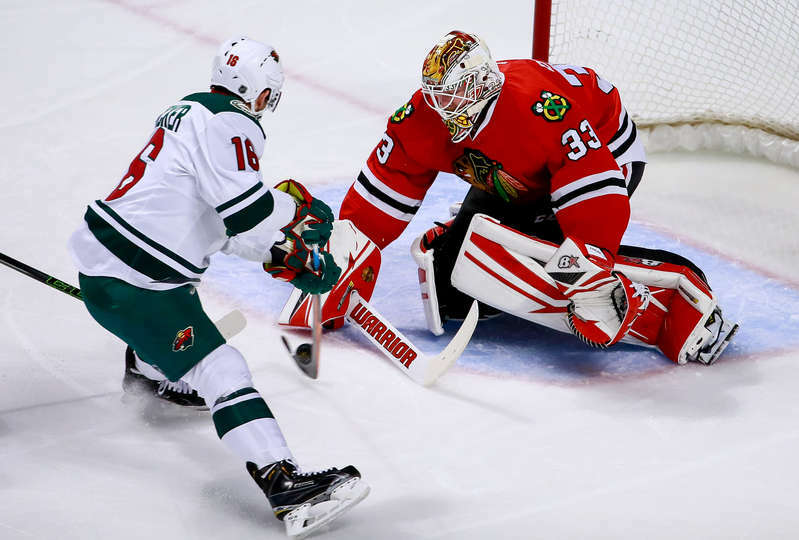 The Blackhawks held a shot advantage, 13-7, but could not find a way to put a puck past Dubnyk, in a scoreless period. The Wild drew first blood as Erik Haula was left alone in the middle of the slot, and wristed a shot by Darling to give the Wild a 1-0 lead, just :50 into the 2nd period. 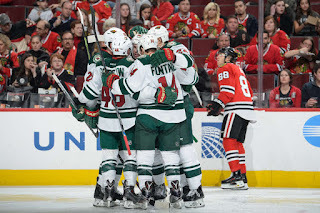 Near the half way point of the period, the Wild scored again as they had 3 players near the crease, where Nino Niederreiter picked up on a rebound and pushed it past Darling for a 2-0 lead. Andrew Shaw would change that 1:34 later, as he toe-dragged and through a wrist shot that squirted through the arms of Dubnyk and trickled into the back of the net to cut the lead to 2-1. 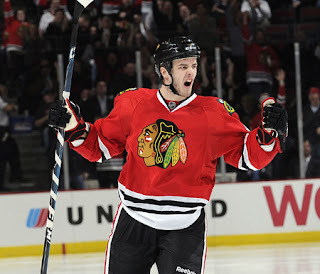 Five minutes later, the Blackhawks would strike again and tie the game at 2, when Richard Panik completed a wrap-around goal to complete the scoring in the period. In the 3rd, the Wild at one point outshot the Hawks, 12-1, but Darling was strong in net. The period would end with SOG in favor of the Wild, 16-7. The Hawks would get some quality chances as well, but Dubnyk was big in net for the Wild, and the period ended scoreless. They would go to overtime. 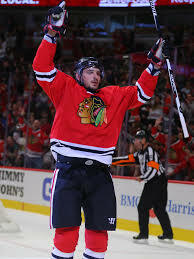 In OT, Artem Anisimov would get a goalie interference penalty, but the Hawks would kill the penalty. Neither team would score in OT and it would be off to a shootout to decide the game. Charlie Coyle would be the only player to score a shootout goal, and Dubnyk would make it stand to give the Wild the 3-2 victory. Notable Mentions: Andrew Shaw was probably the best forward on the ice tonight for the Hawks. The puck followed him around everywhere and he had a physical game to him tonight. 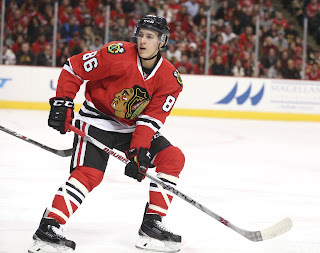 Teuvo Teravainen did not fair well at the faceoff dot, losing 12 of 15 draws he took. 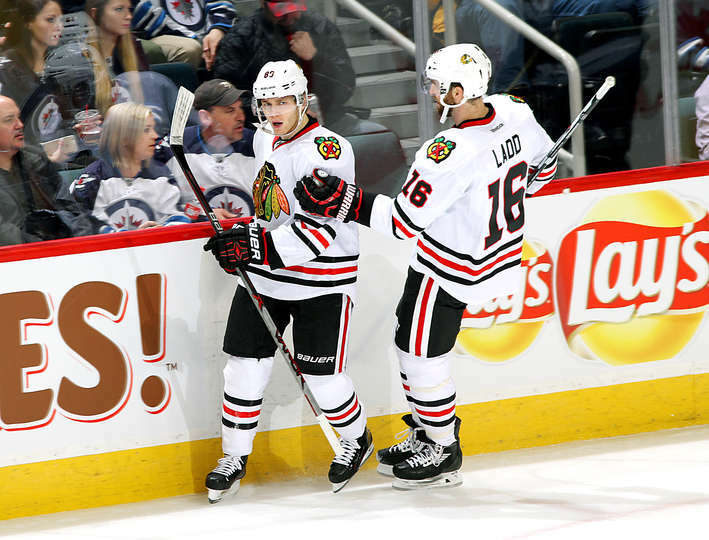 Andrew Ladd scored in his return to Winnipeg and Scott Darling stopped 28 shots to pick up his 2nd career shutout as the Chicago Blackhawks shutout the Jets, 4-0. Both teams with golden chances in the period. Dale Weise was set up with a nice cross ice pass from Tomas Fleischmann, and then was completely robbed with a great glove save from Ondrej Pavelec. Hawks were getting in front of shots in the 1st as they blocked six shots. That could be partially due to the fact that they had seven turnovers. Darling had to make a tough save on Blake Wheeler after a turnover by Artemi Panarin. Regardless, the 1st period was scoreless with the Hawks with the edge in shots: 13-11. It took till there was just over 3 minutes left in the 2nd period when Patrick Kane got the Hawks on the board with a great individual effort as he exploded into the Jets zone and roofed a back-hander above Pavelec, to give the Hawks a 1-0 lead. Just :26 later, Marian Hossa scooped up a rebound and deposited it beyond a diving Pavelec, for a quick, 2-0 lead. Darling had to be sharp again as the Jets peppered him with scoring chances, but none made their way across the goal line. The period would end, 2-0, Hawks. The 3rd period saw the Blackhawks break the game open 4 minutes into the period. After a strong board battle win by Jonathan Toews, the Captain fed the ex-Jet Captain, Andrew Ladd, who wristed a one-timer past Pavalec, to make it 3-0. Then, 1:45 later, Tomas Fleischmann took a turnover in the Jets zone and deked Pavalec and slid the puck into an open net to make it 4-0, Blackhawks. Notable Mentions: Joel Quenneville flipped Kane and Hossa on their respective lines late in the 2nd period. In successive shifts, both Kane and Hossa score. 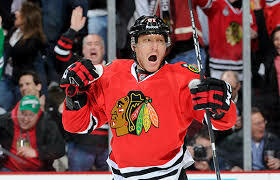 Hossa's goal was his 498th career goal. Darling's 2nd career shutout comes exactly one year ago to the day that he recorded his first shutout when he blanked the New York Rangers, 1-0. 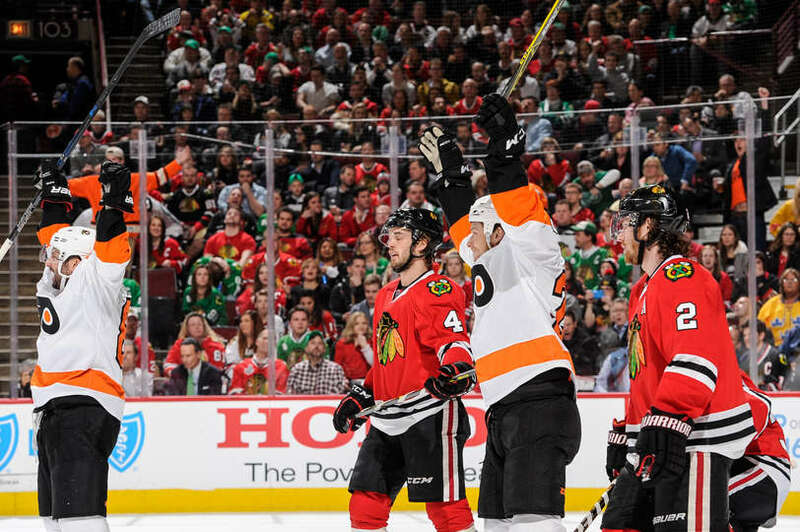 The Chicago Blackhawks hosted the Philadelphia Flyers hoped to get back in the win column, 3 points behind the Dallas Stars and St. Louis Blues for the division lead. that didn't happen, as the visiting Flyers came from behind twice, to beat the Blackhawks, 3-2. Overall, the Blackhawks played their first good period in a long time. 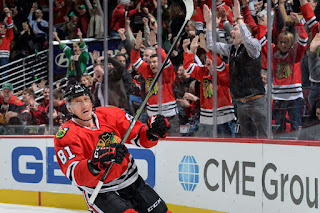 While short-handed, Marian Hossa gave the Hawks a lead as he scored on Michal Neuvirth on a breakaway. 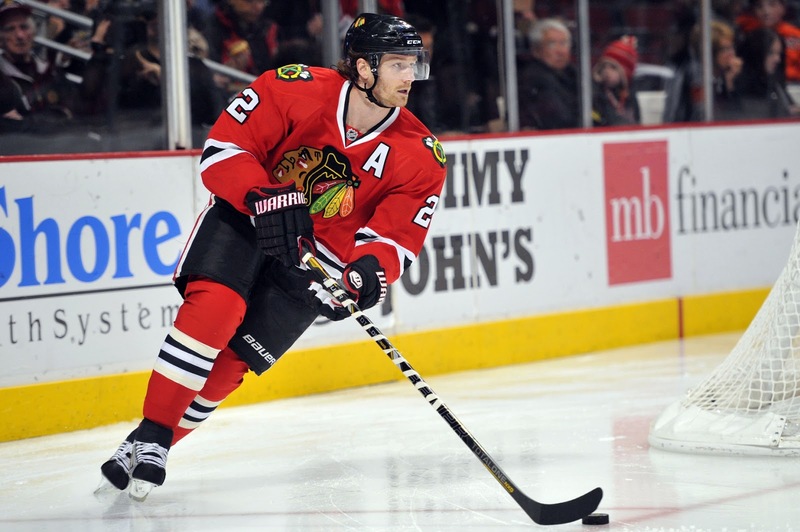 The Hawks then took a second penalty late in the period and a familiar result occurred. A failed penalty kill, as many of the latest failed penalty kills, Scott Darling, who got the start tonight, was completely screened and never saw the shot. The period ended, tied at 1. In the 2nd, the Blackhawks could not convert on their 3rd power play of the evening, but shortly afterwards, a persistent Jonathan Toews tried a wraparound chance and then followed up with a rebound that went into the back of the net to give the Hawks a 2-1 lead, 3:58 into the period. Later in the period, Niklas Hjalmarsson got too aggressive in the Flyers zone, and it resulted in an odd man break the other way, where Brayden Schenn finished with a slap shot outside the reach of Darling to tie the game at 2. 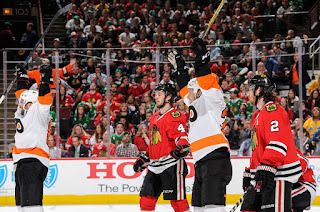 Half way through the 3rd period, the Flyers got some 'Luck of the Irish' as a shot from the point by Radko Gudas, deflected off of Christian Ehrhoff's stick, and bounced into the Blackhawks net, to give the Flyers their first lead of the night, 3-2. That was how it would end. Notable Mentions: Patrick Kane tallied his 90th point tonight. He's the first Blackhawk to hit that mark since Jeremy Roenick in 1993-94 (107). Marian Hossa's short-handed goal tonight, extends his active-leader total of 32 career SHGs. Blackhawks were a dismal 38% from the faceoff dot tonight. Tonight saw a clash between two teams that have won five of the last six Stanley Cups as the Los Angeles Kings visited the United Center for a showdown against the Chicago Blackhawks. The Kings were shooting like it was the O.K. 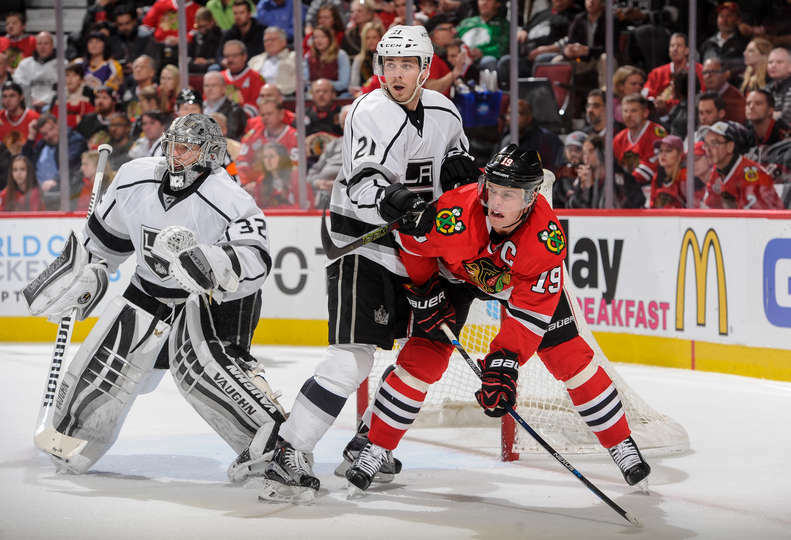 Corral, and Jonathan Quick was just that, as the Kings demolished the Blackhawks, 5-0. The Blackhawks got an early power play and put a ton of pressure on Quick, but couldn't find the back of the net. 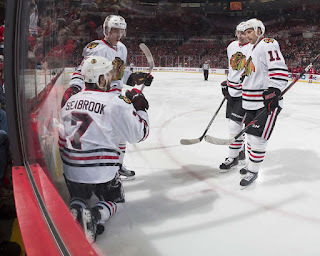 Right afterwards, ex-Blackhawk, Kris Versteeg, found a loose puck in front of the net, and buried behind Corey Crawford, just 3:17 into the game. The next shift, and :18 later, Milan Lucic wristed a shot, top shelf, over Crawford to give the Kings a quick, 2-0 lead. The Blackhawks would find the crossbar and the goalpost on two separate occasions, miss 6 shots in the period, but no goals as the 1st period ended. The 2nd period provided just 5 combined shots for the first half of the period. But with 4:30 remaining in the period, Vincent Lecavlier, had a wide open net, and buried it to give the Kings a 3-0 lead. The Blackhawks challenged the goal for goalie interference, but none was called. The goal counted and the period ended with a big deficit for the Hawks to try and overcome. In the 3rd, the Blackhawks had a couple of power plays, but Quick was not to be beaten tonight. He made save after save. At the 11:20 mark, Dustin Brown, who hadn't had a point in 11 games, streaked in on a partial breakaway, and tucked a shot around Crawford for a 4-0 Kings lead. 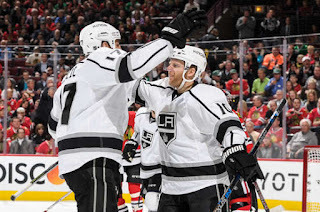 With just under 5 minutes left, Tyler Toffoli, made it 5-0, Kings, with a wrist shot that went threw Crawford. After the 6th Blackhawks power play, the game mercifully ended. as on fire, have now gone 0 for its last 11 chances over the last two games. It's the first time this year where the Hawks have given up back to back games where they have given up 5 goals. The Blackhawks had 9 turnovers, 8 by defensemen. Patrick Kane now has just 1 point in his last 5 games. 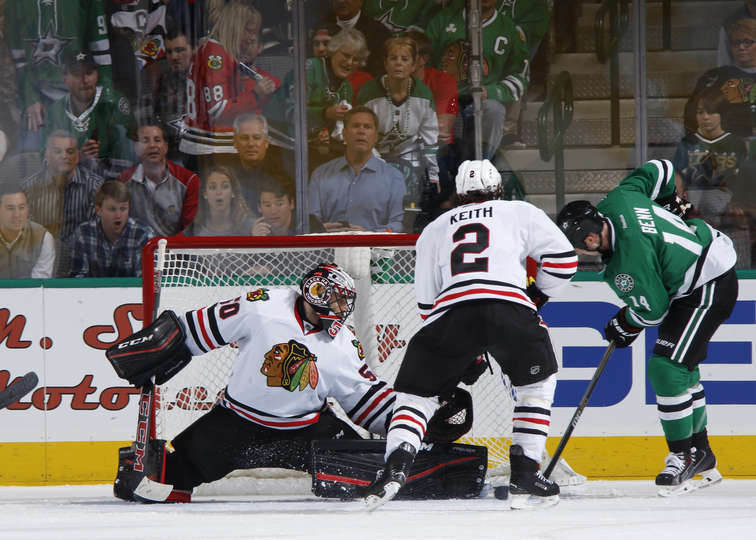 Penalties Kill Blackhawks As Stars Rout, 5-2. 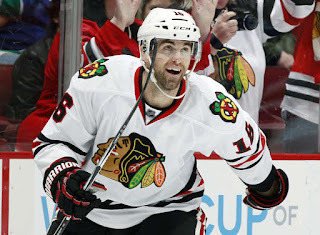 The only thing that overshadows the Chicago Blackhawks tremendous power play as of late is their horrific penalty kill. 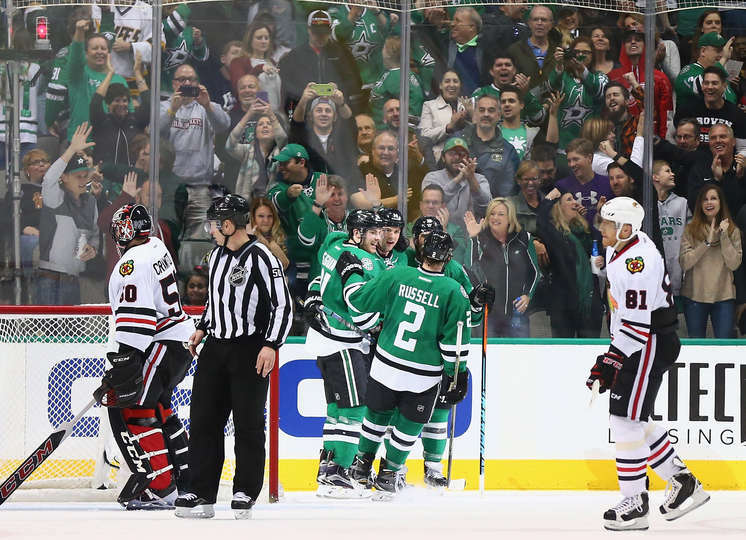 The Hawks took six penalties and the Dallas Stars converted on two of them to plow their way to a 5-2 victory Friday night. The Blackhawks started the game with two power plays and got good pressure, but no goals on Stars' goalie, Kari Lehtonen. The Hawks would go 0-for-5 on the power play for the night. Then, it was the Stars' turn on the power play. 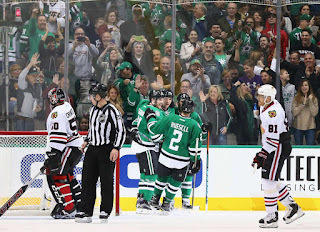 Unfortunately, the horrid PK of the Blackhawks failed again, as Jason Spezza slapped a shot from the point that Blackhawks goalie, Corey Crawford never saw, to give the Stars a 1-0 lead. Amazingly, the Hawks took two more penalties shortly afterwards. Crawford saved at least 2 goals and Niklas Hjalmarsson saved another, before the period ended with the score, 1-0, Stars. The 2nd period started with the Hawks killing their latest penalty, but giving up another goal shortly after it ended. Two Stars players were in front of the net, and Antoine Roussel flipped a shot past Crawford to make it 2-0, Stars. Four minutes later, the Hawks couldn't clear a puck out of their zone, and Tyler Seguin slid a shot between the legs of Crawford to extend the lead, to 3-0. Half way through the period, the Hawks took their 5th penalty of the evening. The Stars, then scored their 2nd power play goal of the evening, as Jamie Benn, untouched in front of the net, squeaked a shot past Crawford for a 4-0 Stars lead. 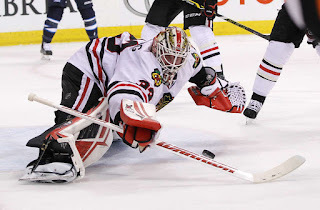 Crawford was then replaced by Scott Darling. Crawford deserved the rest of the night off as the score could have easily been 8-0 at that point, if not for him. Teuvo Teravainen got the Hawks on the board 3 minutes later, to make the score, 4-1, which is how the period would end. The 3rd period was scoreless till the 15:29 mark, when Ales Hemsky scored an empty-net goal with under five minutes to play. 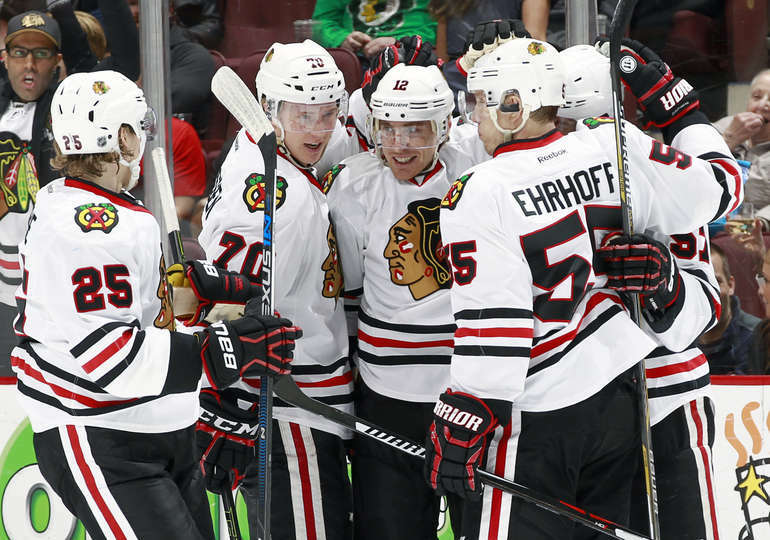 Tomas Fleischmann would add a goal for the Blackhawks with under one minute remaining, to end the scoring, 5-2.
Notable mentions: The Blackhawks, in a span of 19:18, between the 1st and 2nd period, took 5 penalties. You're not going to win games when you are constantly on the penalty kill, which has been dreadful as of late anyway. The Stars had 26 blocks to the Blackhawks, 7. Positioning is crucial. There is no reason to panic, but the Hawks have to start playing respectable on the penalty kill. That, and stay out of the box. 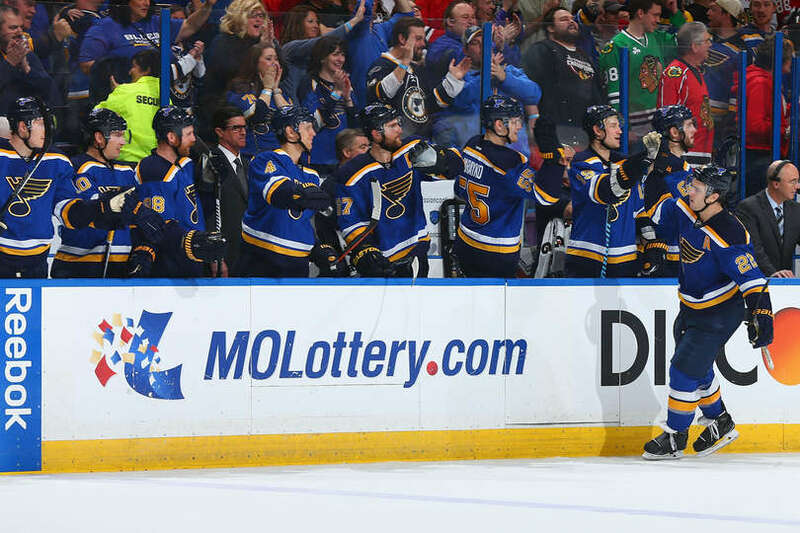 A goalie duel between Corey Crawford and Jake Allen lasted from the beginning till the end of 6 rounds of a shootout before the St. Louis Blues skated away with a 3-2 victory over the Chicago Blackhawks. The 1st period saw a fast-paced game that had plenty of end-to-end action. Late in the period, Blues enforcer, Ryan Reaves put a big hit on Blackhawks defenseman, Christian Ehrhoff, that resulted in a 5-minute major charging penalty and a game misconduct for Reaves. The period ended with no score, but the intensity was building going into the 2nd. Early in the 2nd, while still on the power play, the Hawks cashed in as Andrew Ladd redirected a slapshot by Teuvo Teravainen to give the Hawks an early 1-0 lead, 1:14 into the period. 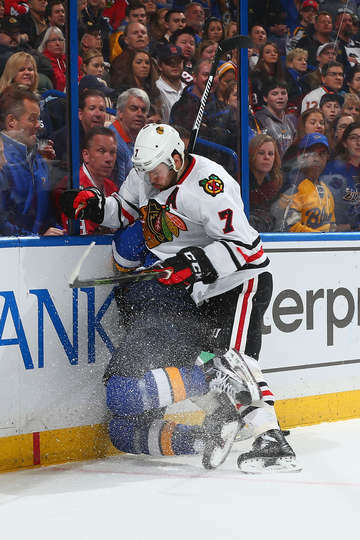 Afterwards, Jonathan Toews was run into the boards by Jaden Schwartz. 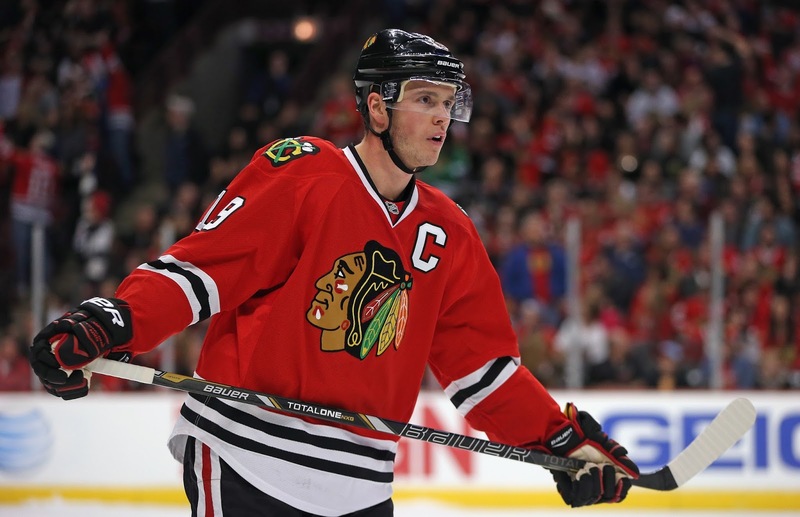 Toews fell awkwardly into the door of the Blues bench and soon after, went to the Blackhawks dressing room. He would return later. David Backes, being his typical self, displayed his leadership skills with a cheap shot from behind on Dennis Rasmussen. Brent Seabrook later gave a big hit to Jori Lehtera as the hitting picked up again. The period belonged to Corey Crawford with 15 saves in the period, half of which, were prime scoring chances. The period would end, 1-0, Blackhawks. Half way through the 3rd period, Backes would get the Blues on the board as the Blackhawks were called, yet again, for Too Many Men On The Ice. The 23rd ranked penalty kill in the league, could not kill the penalty and the game was tied at 1. 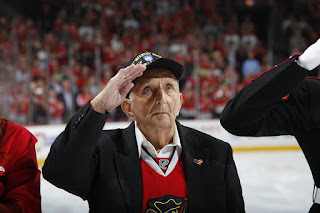 Nor could they stop the following power play, nearly 5 minutes later, when ex-Blackhawk, Troy Brouwer, slapped a one-timer past Crawford, to give the Blues a 2-1 lead, half way through the 3rd period. With Crawford pulled, Toews found Artemi Panarin in the slot for a one-timer to tie the game at 2 with 1:13 remaining in regulation. In overtime, Ladd had appeared to score, but it was ruled no goal as he made contact with Allen. 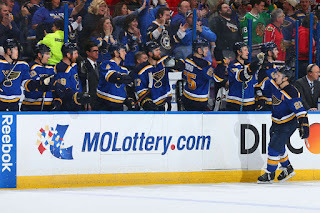 They went on to the shootout, where it went 6 rounds before Kevin Shattenkirk would beat Crawford, while Teravainen rang his shot off the post that gave the Blues the 3-2 win in a shootout. 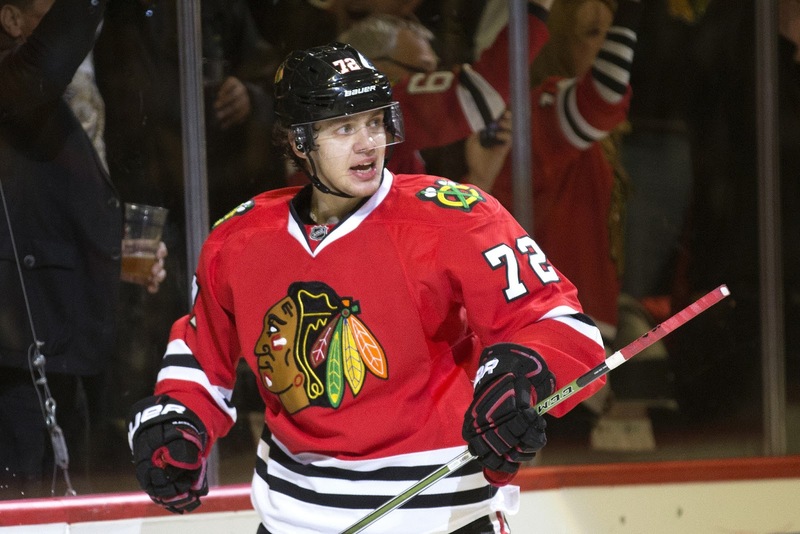 Notable Mentions: In his first career shootout attempt, Panarin scored with ease on a deke move on Allen. Unfortunately, Teravainen's first career shootout attempt, rang off the post. The Blackhawks were on the verge of losing a game after they lead after two periods for the first time since the 2013-2014 season. That record stays intact thanks to Panarin's tying goal late in the game. For the 2nd time in less than a week, the Detroit Red Wings and Chicago Blackhawks went head-to-head. Unfortunately, these are the only two games you'll see these teams play against one another in the regular season this year. 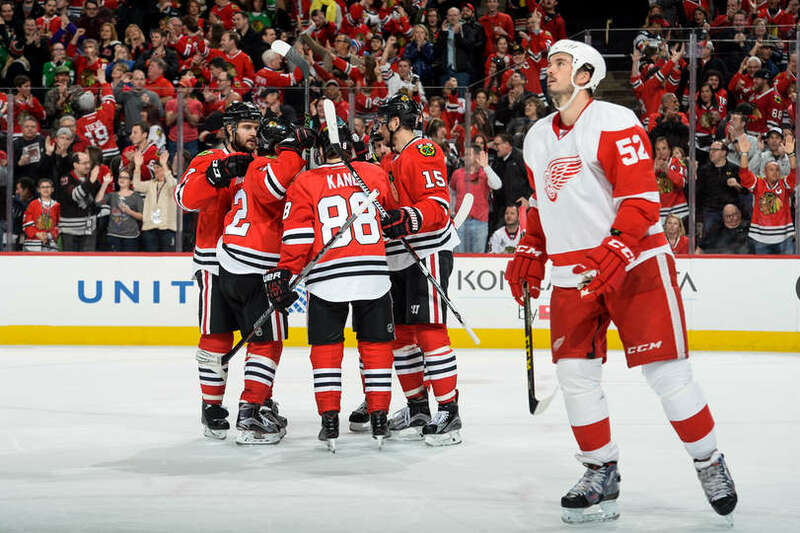 Two quick goals in the 1st, two very quick goals in the 3rd, put the Blackhawks ahead for good as they beat the Red Wings, 4-1. 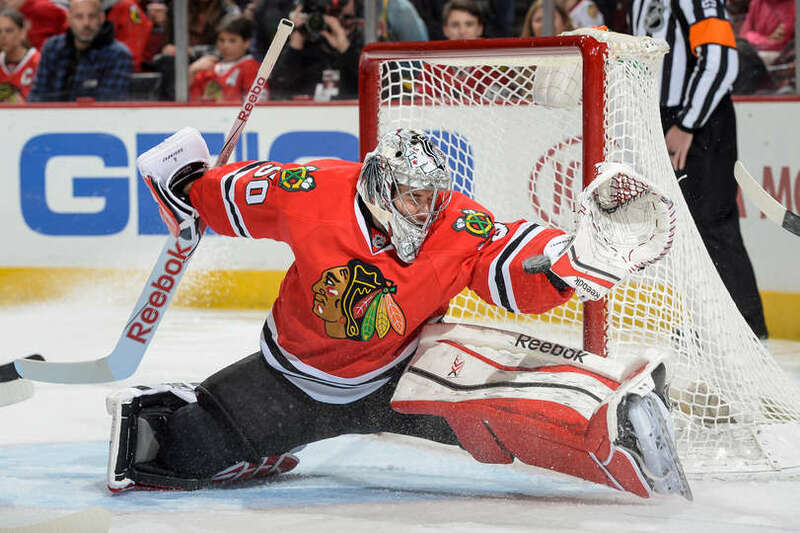 Corey Crawford came up huge with 33 saves. The score did not tell the story of this game. this was a goalie win. The Blackhawks came out flying from the start as Patrick Kane started the scoring, just :21 into the period with a wicked wrist shot that made it past Red Wing goalie, Petr Mrazek, to give the Hawks a 1-0 lead. Six minutes later, the Hawks would go to the power play, where Duncan Keith would blast a slap shot that went through Mrazek and gave the Hawks a quick 2-0 lead. That would be all for Mrazek as he was replaced by Jimmy Howard. 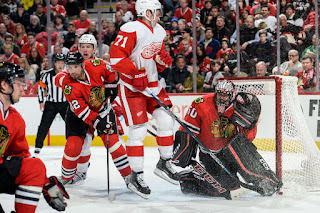 Just over two minutes later, Detroit would get on the board after the Hawks couldn't clear the zone, a pass from Danny DeKeyser found Gustav Nyquist, who wristed a shot, glove high from the slot, past Corey Crawford to make the score 2-1 at the end of the first period. In the 2nd, there was no scoring, but Detroit peppered Crawford and the Hawks with 13 shots, while the Hawks only threw 3 shots at Howard. After 2, the score remained, 2-1, in favor of the Blackhawks. SOG through 2, DET- 21, CHI - 14. Half way through the 3rd period, the Blackhawks went to the power play, where they have been 3-for-5 so far this year against the Red Wings. Make that 4-for-6, as Artemi Panarin through a slapshot on net and Artem Anisimov deflected it, top shelf, to extend the Hawks lead, 3-1. Just :68 later, a strong shift from the Jonathan Toews line produced another goal, as a nice keep-in by Michal Rozsival was sent to Andrew Desjardins, who slapped a shot on net, that deflected of of Toews, and into the back of the net, to make it 4-1, which is where it ended. 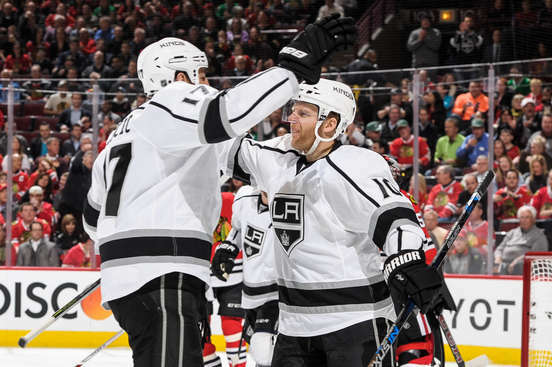 Notable Mentions: Patrick Kane's 1st period goal gave him 89 points for the year, a new career high. Jamie Benn of the Dallas Stars, won the Art Ross Trophy last year with 87 points. Michal Rozsival, who assisted on Kane's goal, reached 300 career points. 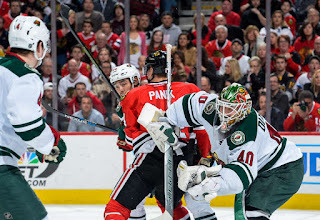 Duncan Keith's game-winning goal, was his 4th of the season. 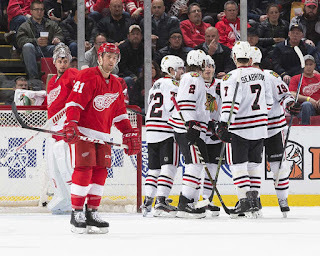 One of the oldest rivalries in the NHL was re-ignited as the Chicago Blackhawks visited the Detroit Red Wings at Joe Louis Arena. The teams have played a total of 729 games leading into tonight, with Detroit leading the series. The Hawks would take tonight's round with a convincing, 5-2 victory. The game was fast-paced out of the box. End to end action, scoring chances on both sides. Only one shot found the back of the net and it came from the stick of Chicago's Brent Seabrook as he cranked a blistering slap shot from the top of the right face off circle, and past Red Wings' goalie, Petr Mrazek. 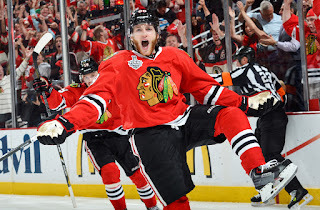 The Hawks led, 1-0, as well as in shots on goal, 9-8. The second period, just as quick as the first. Wide open, end to end hockey, and both goalies coming up strong. Detroit had an early power play that required Corey Crawford to stand tall in net. The Red Wings got sloppy and found themselves in a 5-on-3 penalty kill. 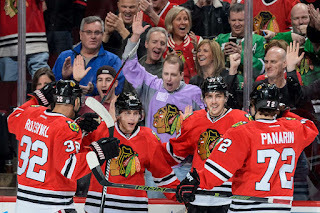 The Blackhawks did not take long, as Patrick Kane threw a cross ice pass to Artemi Panarin, who buried a shot into an open net, to make it 2-0. Still on the power play, the Hawks were not done, as Kane wristed a shot, stick side of Mrazek and it was 3-0. 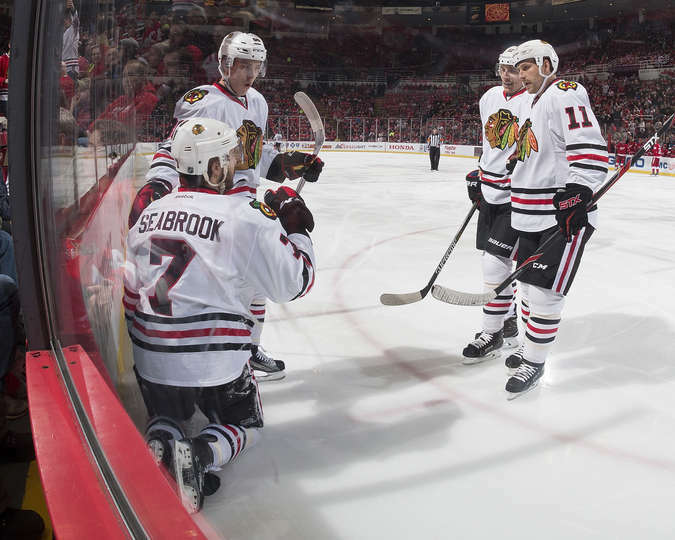 The key to that goal was Seabrook willing to take a big hit from Justin Abdelkader which made room for Kane to walk in and score. Period two ended, 3-0, Blackhawks. The Red Wings came out in the 3rd and pelted Crawford early with some quality chances and Crow was there to make the saves. While on their 4th power play of the game, Brad Richards got Detroit on the board with a slapshot from the point, to make it 3-1 half way through the period. Shortly after, Andrew Ladd, through hard work to dig for a rebound shot, popped the puck into the back of the net to regain the 3 goal lead for the Blackhawks, to make it 4-1. Then to throw Chelsea's Dagger into the mix, a sick cross-ice pass from Kane, back to Panarin, for his 2nd of the night, made it 5-1. Tomas Tatar added a deflection goal with 2 minutes left, but the Hawks prevailed, 5-2.
Notable Mentions: Corey Crawford won his 34th game of the season tonight, a new career high. Christian Ehrhoff in his Blackhawks debut, played 17:13. Those are long minutes for a first game. 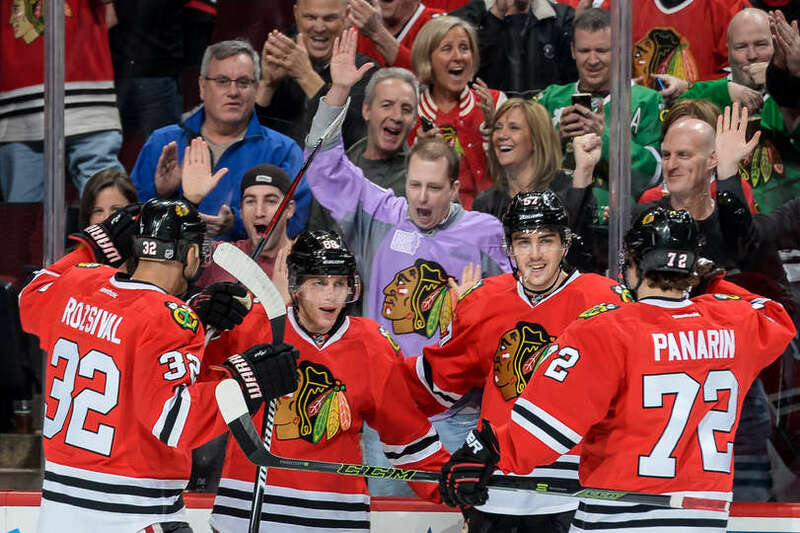 Patrick Kane ties his career high of 88 points with 3 points tonight (37G 51A). The rosters of the 2016 World Cup of Hockey were announced today and the Blackhawks are represented well. Nine players were invited to play for their respective countries. Congratulations to all of our beloved Blackhawks!